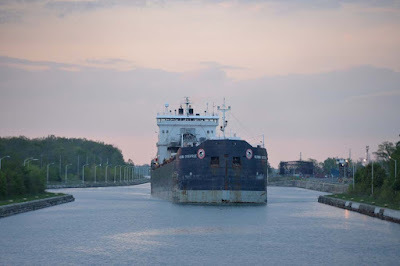 Ships bypass Niagara Falls, beautiful but slightly inconvenient for waterborne travel, through the 43km canal between Lake Erie and Lake Ontario. The current canal route, part of the St Lawrence Seaway, was built in 1932, replacing several different variations first built in 1824. 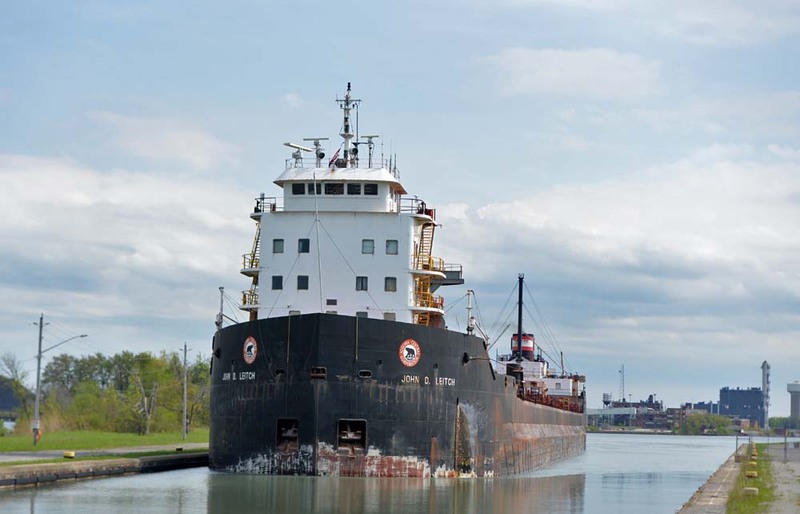 The canal allows ships to travel between the Great Lakes and the Atlantic Ocean. 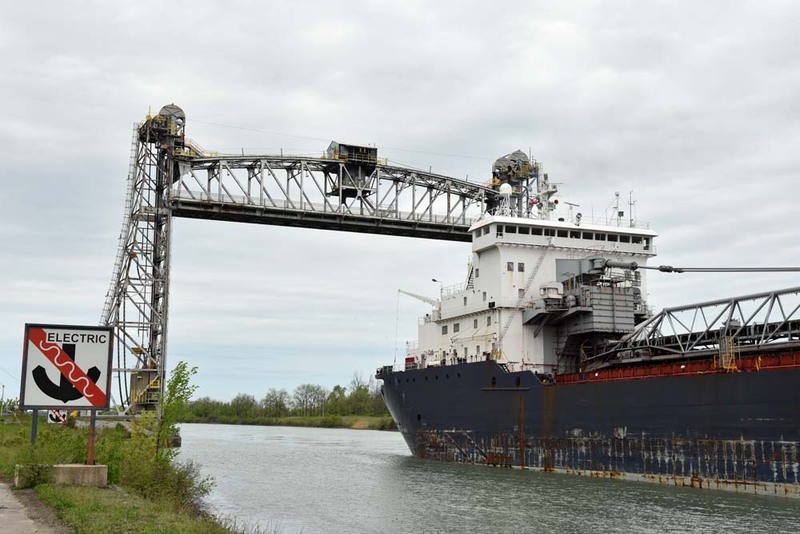 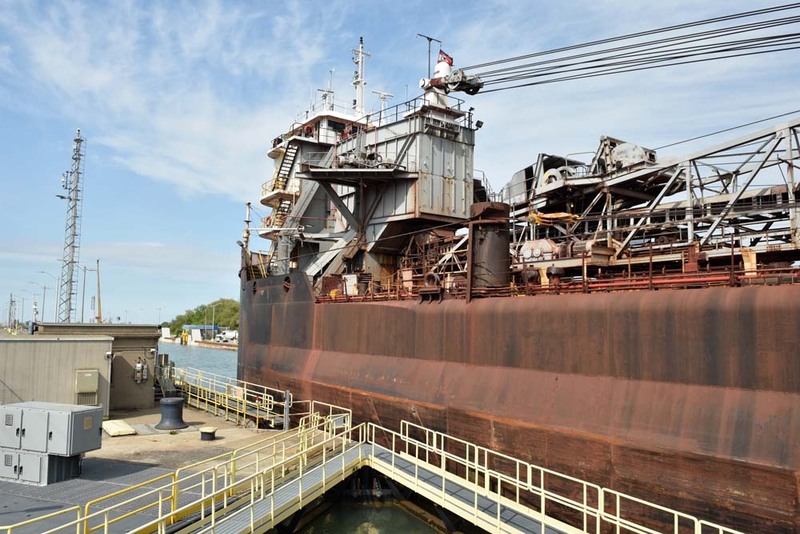 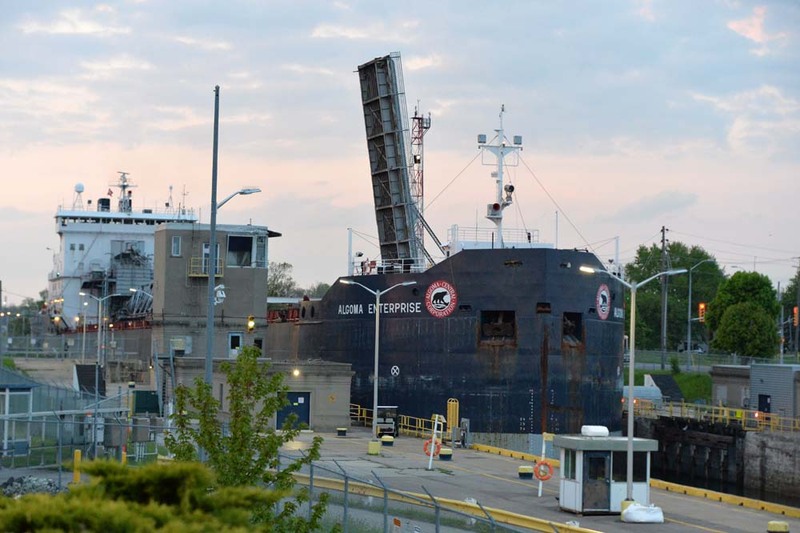 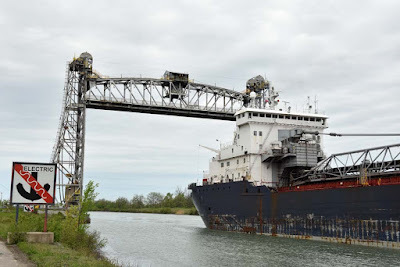 Both cargo, passenger and smaller craft (must be over 6m) go through the waterway, facilitated by 8 locks between Port Weller and Port Colborne, in about 10 hours. 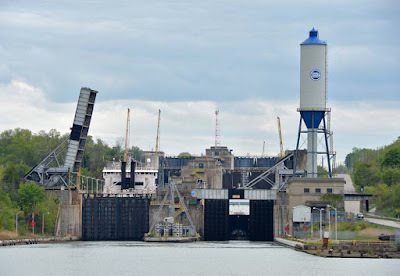 The best places to see the canal and locks are at Lock 3 (museum and viewing platform), Lock 7 with another museum, viewing stand and bleachers and at the park at Lock 8 in Port Colborne. Locks are approximately 25m wide, 25m deep and about 260m long. The longest lock is the regulating Lock 8 at Port Colborne, which at 420.6m long is the World's longest lock. 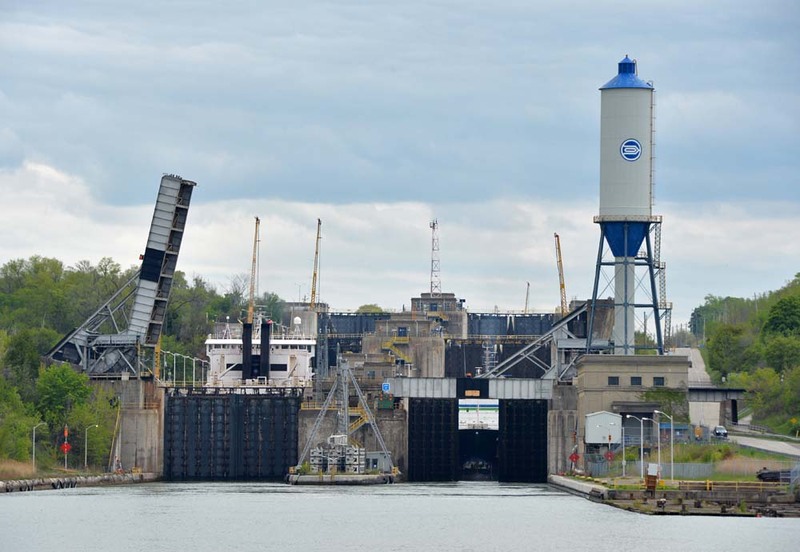 Lock 8 only goes up or down by about 1m, otherwise the elevation change in other locks is about 14m, with a total canal elevation change between Erie and Ontario of 99.5 metres. 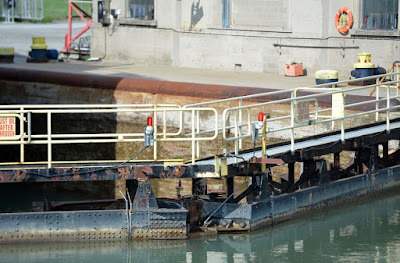 Locks 4, 5 and 6, known as Flight Locks, are twinned locks that allow two way traffic at the same time and go over the Niagara Escarpment. 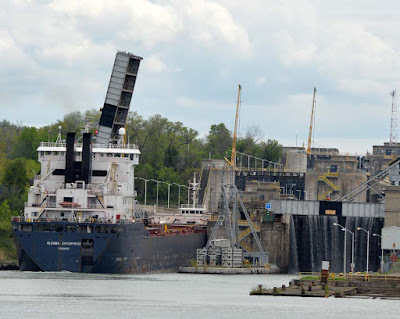 Here is a shot of the northerly lock 4 with the left ship going to Erie and the right lock having a boat going to Lake Ontario. 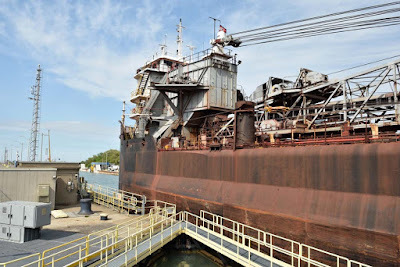 There are three tunnels under the Welland Canal and a lot of lift and scissor bridges along the route that tend to open early upon the approach of a ship. 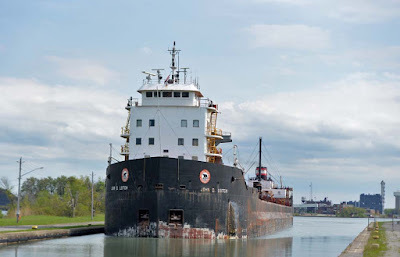 They say that the average crew on each tanker is 22.